Was just telling my sister today that “blogging” about big events is hard for me. I don’t know why that is. . . for example I never blogged about the conference in Philly this summer. Hmmph. So, I am going to attempt to blog about our Christmas. There is too much to say but Memom and Grandma need pictures so I have to get a move on. 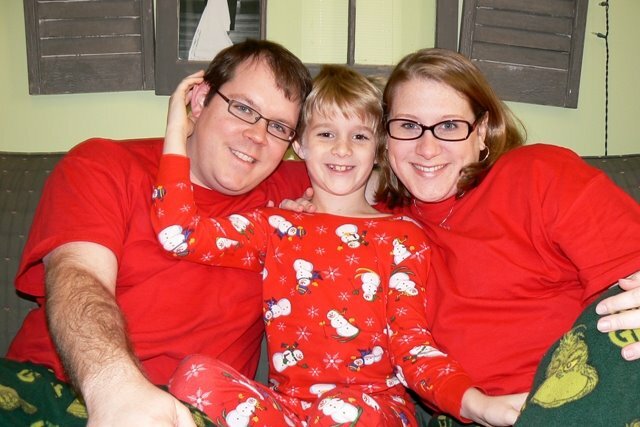 These are the Jacksons – also known as my sister and her family – or Anna, Brice, and Cole. They arrived Tuesday and stayed until Sunday and it was FUN. I like to call this photo, “If You Can’t Beat ‘Em, Join ‘Em”. My children always stand in front of the TV while watching. I have tried almost everything to break the pattern but Little usually finds her way to lean on the yellow chair and Bubba opens the bottom cabinet doors and finds his place. Cole got fed up with being unable to see and . . . well, “joined ’em”. My doctor recently reminded me that kids don’t get 20/20 vision until about 2nd grade. That is why they don’t do board work until then. 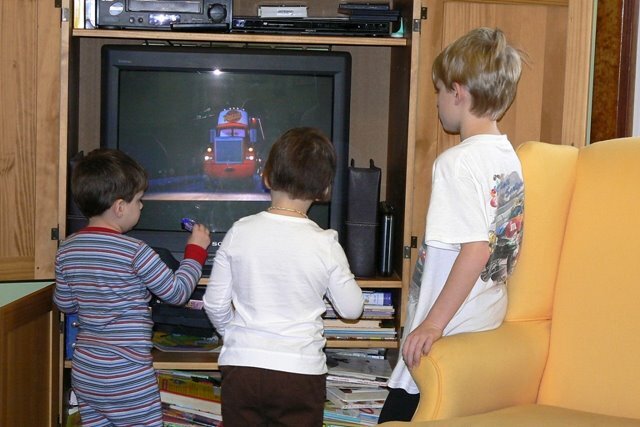 I wonder if Little and Bubba stand close to the tv because they had trouble seeing it before glasses and surgery. Now maybe it is a habit. Our tv is up in a space above our fireplace. I was wondering if it is hard for my kids to see all the way up there. It is a good bit farther away than it has been in other houses. It doesn’t seem to slow them down in terms of their desire to have it on, though.